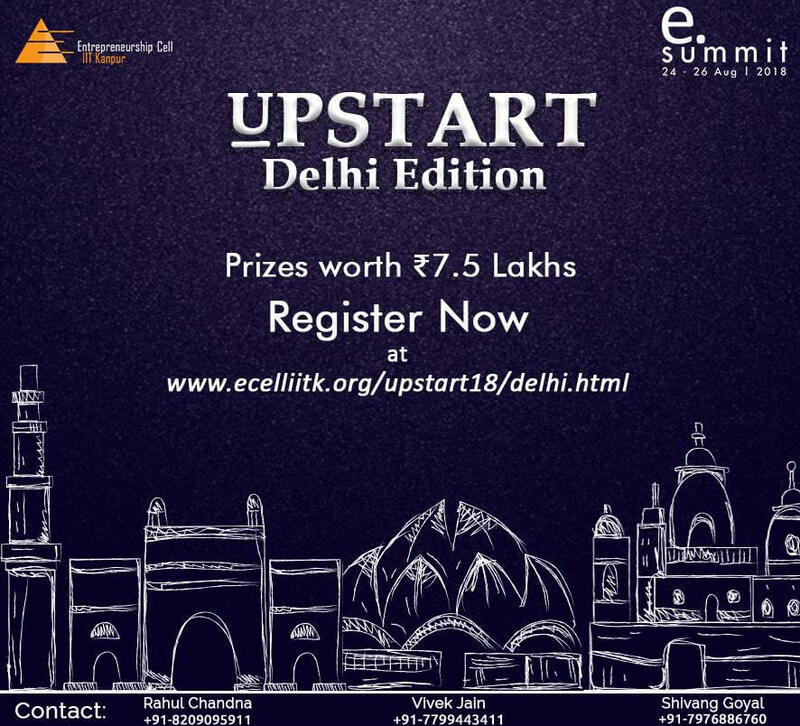 Upstart 2018 is an event for StartUp pitching conducted by Entrepreneurship Cell, IIT Kanpur. This event contains 7-minute pitch deck, 8 minute questions and answers by investors. Brainstorming and mentoring will be followed If shortlisted. Register yourself to attend the event at and stand a chance to win ₹ 7.5 Lakh. Last date for Online Registration is 2018-Jul-15, hurry and grab your chance now. Kindly visit E-Cell, IIT Kanpur portal for registration and submission.